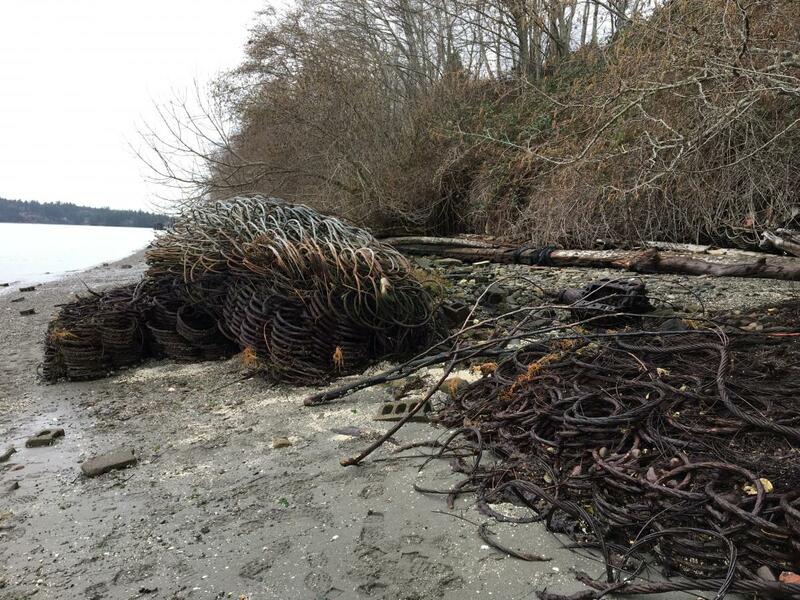 The Department of Natural Resources (DNR), Department of Fish and Wildlife (DFW), and Department of Corrections (DOC) have come together to form a partnership to restore McNeil Island's shorelines. 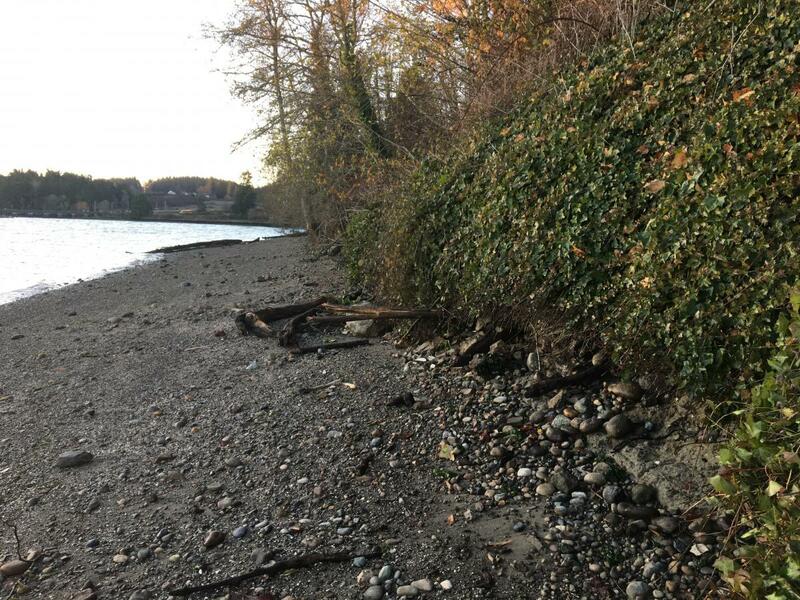 In July 2015, DFW and DNR completed a habitat feasibility report to identify the shoreline restoration needs around the island. Projects were identified in the report that all three agencies will collaborate on to complete in phases, dependent on funding. The first project kicked off on November 15, 2018, and concluded on December 5, 2018. 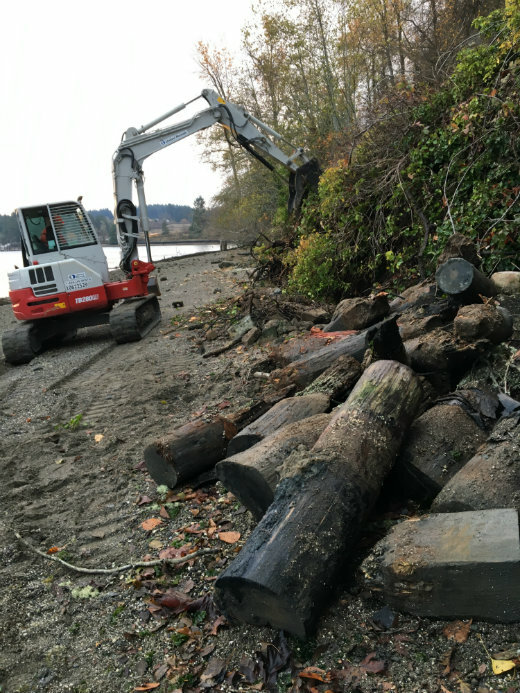 The DNR Aquatic Restoration Program hired Orion Marine Group to clean-up six stretches of shoreline along the island. 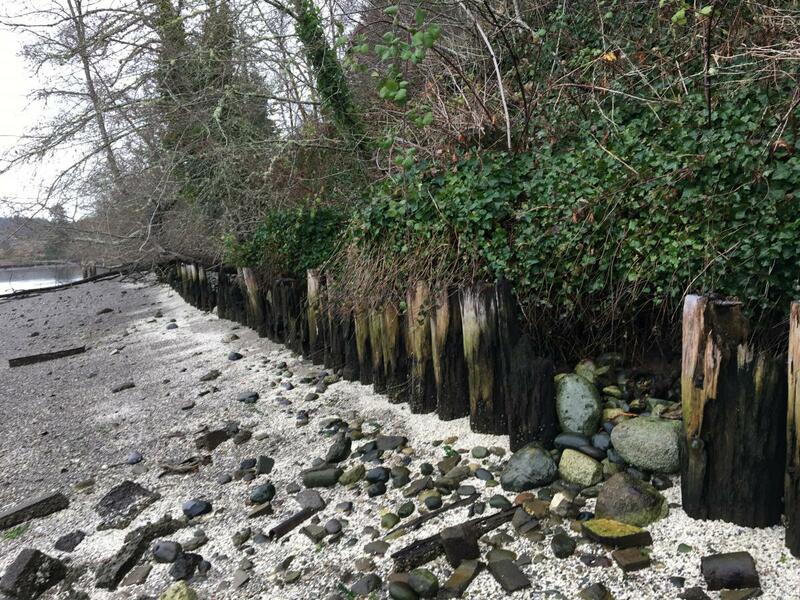 Restoration work included removing concrete shoreline armoring, creosote-treated piles, a wood bulkhead, concrete and metal debris, a derelict boat and submarine torpedo nets. 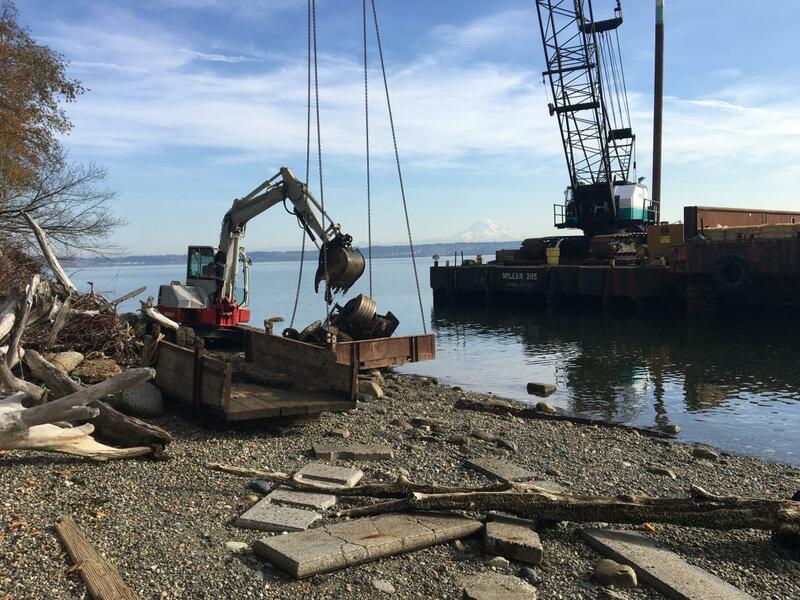 This project required the use of a large crane and small excavator to remove the heavy and large debris from the shoreline. Two large barges were on site. 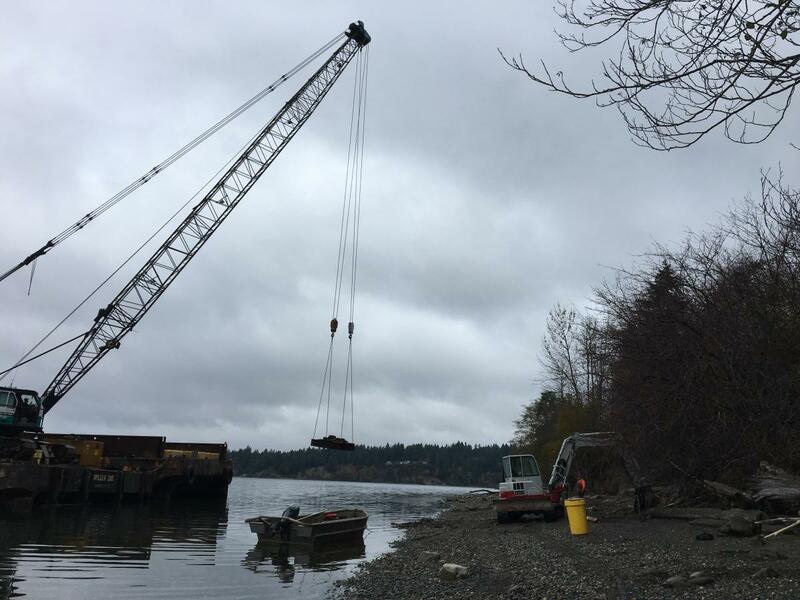 A crane on one of the barges lifted the debris off the shoreline. 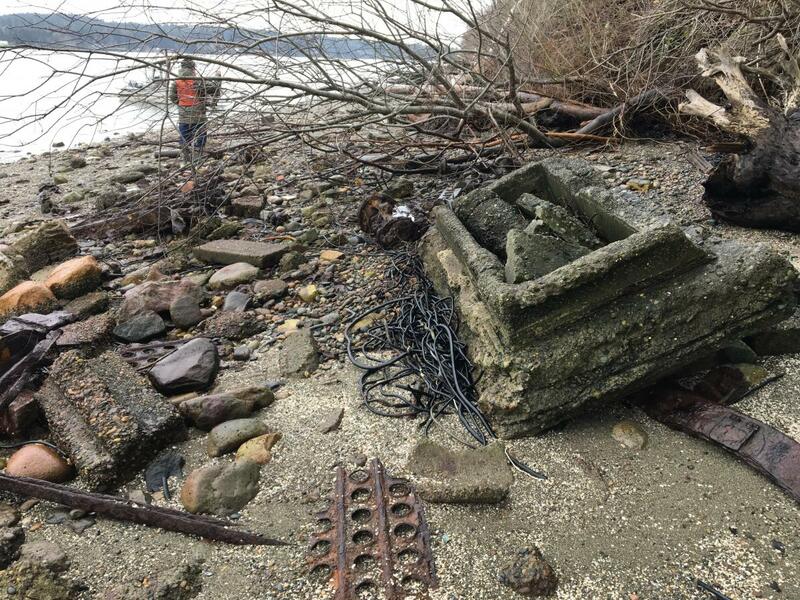 A small excavator was placed on shore to pick up the debris and to place it in boxes to transport to the materials barge. 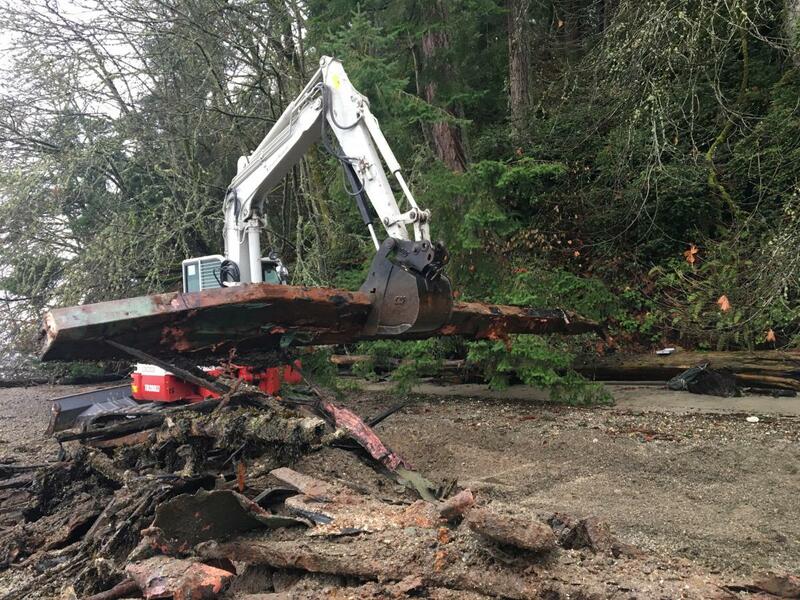 During the construction clean up work, DNR had Best Management Practices and permits in place to prevent impacts to the shoreline and aquatic species. 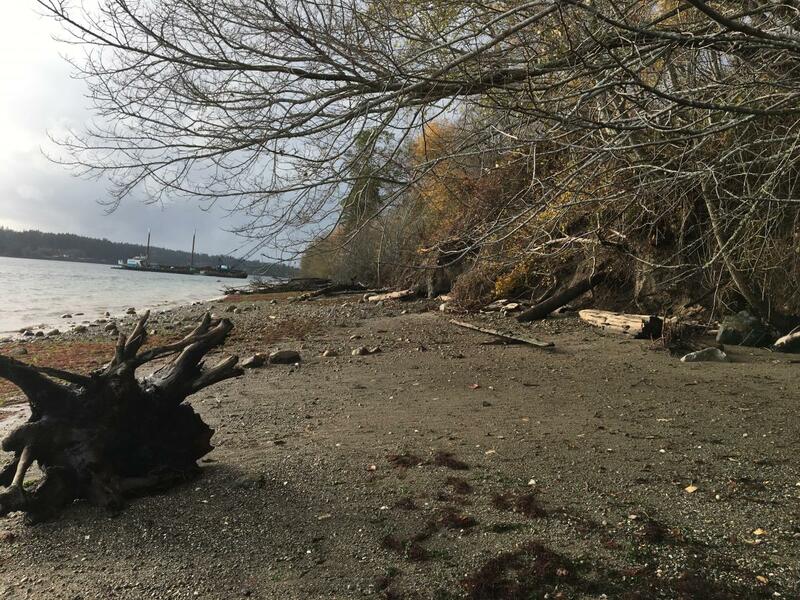 McNeil Island is located within the Nisqually Reach Aquatic Reserve. 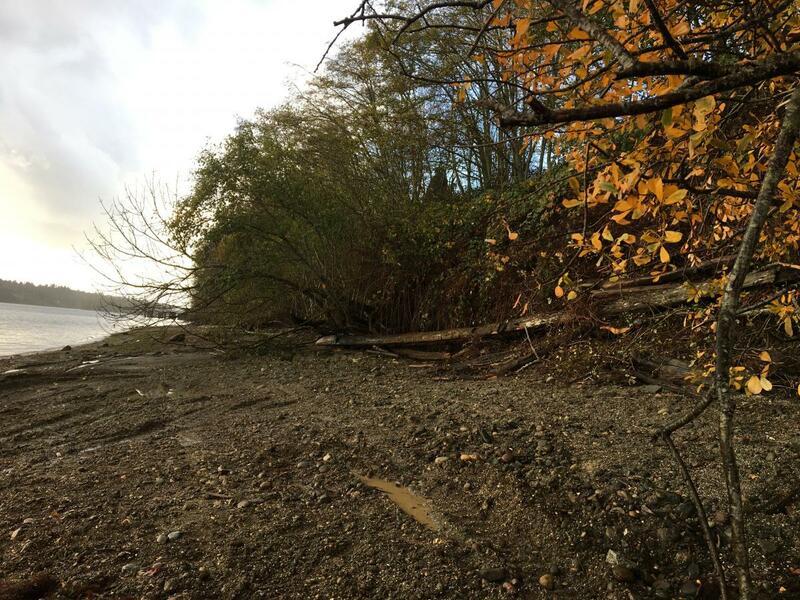 This work helped create continuous stretches of natural shorelines that improve habitat for forage fish, migrating salmon, improve water quality, and to remove impediments to sediment transport and feeder bluffs. 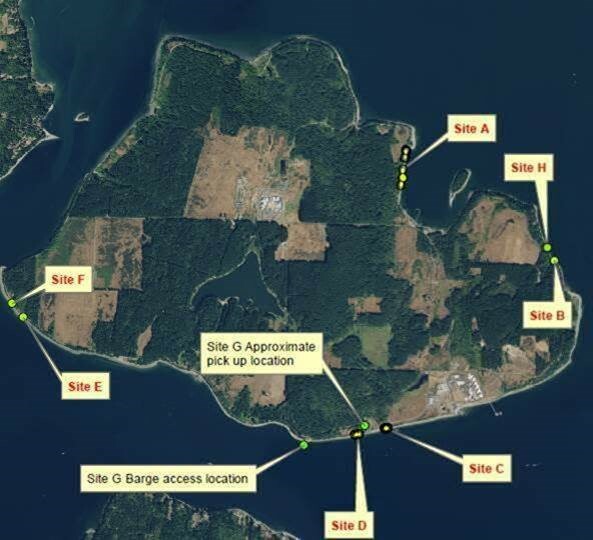 Shoreline project locations for the first restoration effort around the McNeil Island shoreline. 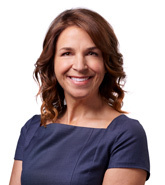 Click here and here for news coverage!